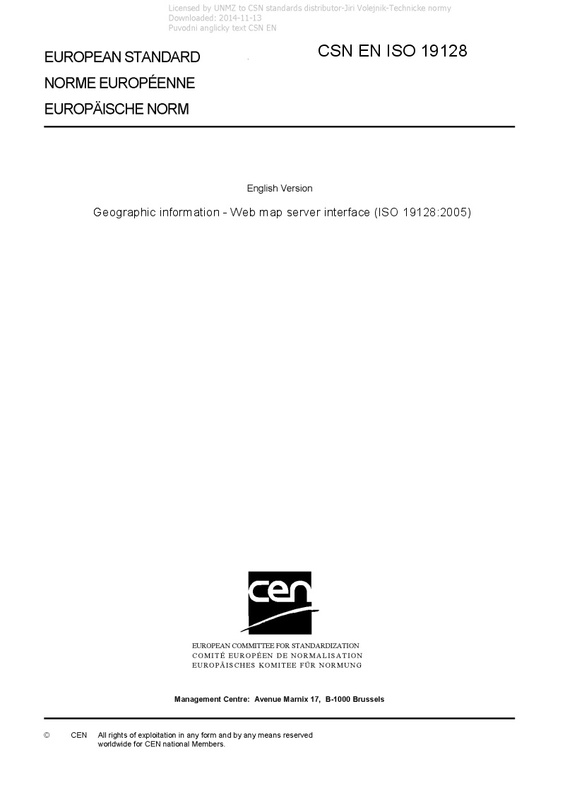 EN ISO 19128 Geographic information - Web map server interface (ISO 19128:2005) - ISO 19128:2005 specifies the behaviour of a service that produces spatially referenced maps dynamically from geographic information. It specifies operations to retrieve a description of the maps offered by a server, to retrieve a map, and to query a server about features displayed on a map. ISO 19128:2005 is applicable to pictorial renderings of maps in a graphical format; it is not applicable to retrieval of actual feature data or coverage data values.